Construction of the KIPP STRIVE Primary School has been well under way since its groundbreaking in June 2012. The construction of the new school building is being funded thanks to a successful $10 million capital fundraising campaign. 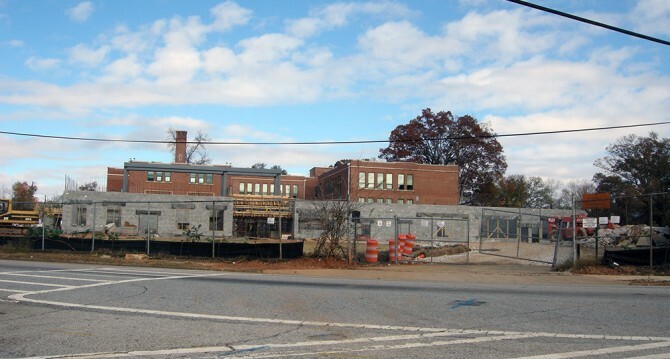 The new building is being constructed adjacent to the existing KIPP STRIVE Academy Middle School, which is housed in the nearly 100-year old former J.C. Harris Elementary School building. Kindergarten KIPPsters have started classes in 2012 in the middle school building and are due to move to their brand new classes in the 2013-2014 school year. To view more photos of the KIPP STRIVE Primary Construction please visit our Westview Facebook page.